With one of our boat trips you can have the pleasure of diving into the splendid waters in facing the mermaids bay and spend warm the summer days in relaxing! The bay on which Garda is located, culminates in the north in Punta San Vigilio, a point of rock that dives into the lake and re-emerges in the form of what was called "Lo scoglio della Stella" while the point delimits "the Bay of the Sirens". The name Vigilio comes from the Bishop of Trento who in the fourth century carried out an intense work of evangelization in that territory. Vigilio, nephew of the god of the woods, saw one day a beautiful nymph named Stella and fell madly in love. But she refused him by mocking him and he, taken by a rapture of madness, turned her into a stone, what today would be the rock of the Star. There is a small church on the promontory from the name of S.Vigilio that binds the birth of the place to another legend. Once also here there was a fortress destroyed by the invasion of Franks. This ruined place was donated by Charlemagne to a hermit who had struck the King for his humility and sincerity. The hermit was called Vigilius and would have lived the rest of his days in this magical place of prayer, where he would also have left this land. A holy church was built in his memory as his soul could continue to rest and pray in this wonderful place of peace. 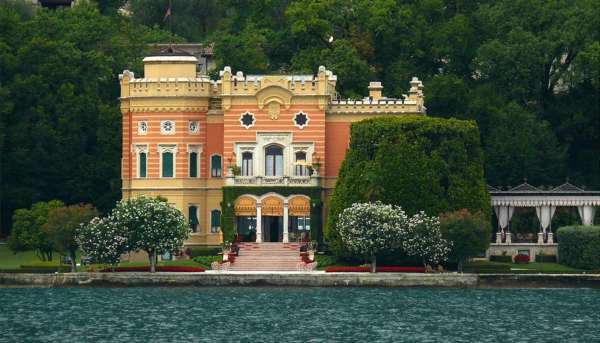 After reaching the fascinating Garda Island, we will cross the lake to East and reach the beautiful Punta San Vigilio.